California is a world leader in food and fiber production. Our state produces more than 400 different crops across a wide range of climates, soils, and topographies. Family farmers who are experienced with local conditions adapt to circumstances, using their expert judgement, innovative practices and technologies help to make California the nation's leading farm state. Innovative farming practices and technologies that are proven successful by California's farmers are often implemented in other parts of the nation and the world. In recent years farmers in California have spent more than $3 billion just improving drip irrigation systems, while investing untold additional resources adapting to changing local conditions. These investments and efforts provide valuable experience for future adopters. Simply put, a water footprint is how much water it takes to produce an item, whether it's a car, computer, or carrot- producing things takes water. California is considered a net importer of water, as the electronics, automobiles, and other goods that we import from outside the state require more water to produce than we export in the goods produced here. 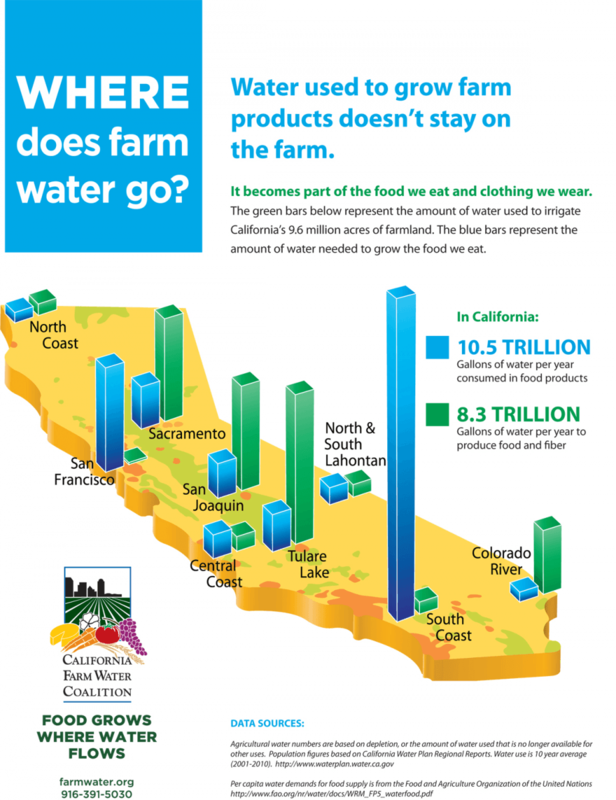 California's population of more than 39 million people has a food water footprint of 10.5 trillion gallons of water. 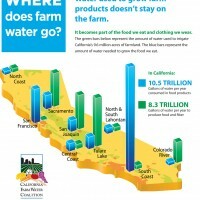 California's farms, collectively have an 8.3 trillion gallon water footprint, used to produce food and farm products. Click the picture below to view the infograph to learn more about different regions of the state. 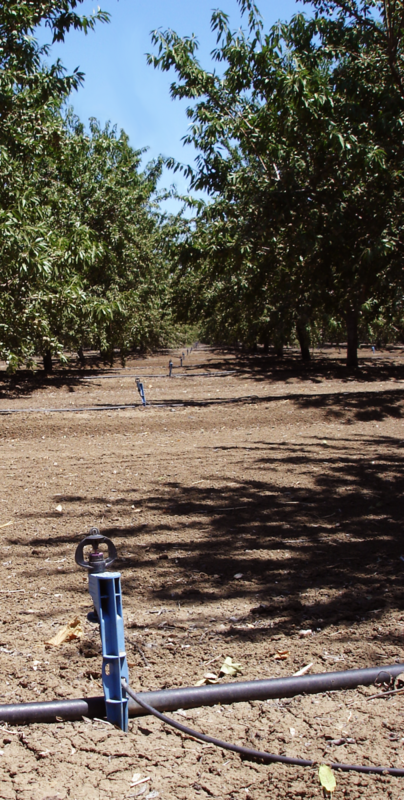 California's farmers invest heavily improving the water use efficiency of their farms. For farmers, maintaining the health and vigor of a plant is a strong motivator to not over-water. Over-watering can have lasting impacts that damage the plant, and impact harvests. Farmers use a variety of tools to help ensure that plants receive the water they need when they need it. Learn more about how farmers manage water to produce food and fiber. Practices and technologies that help ensure water used to produce food and fiber is managed carefully and responsibly are always evolving. Learn about some innovations in farm water management. 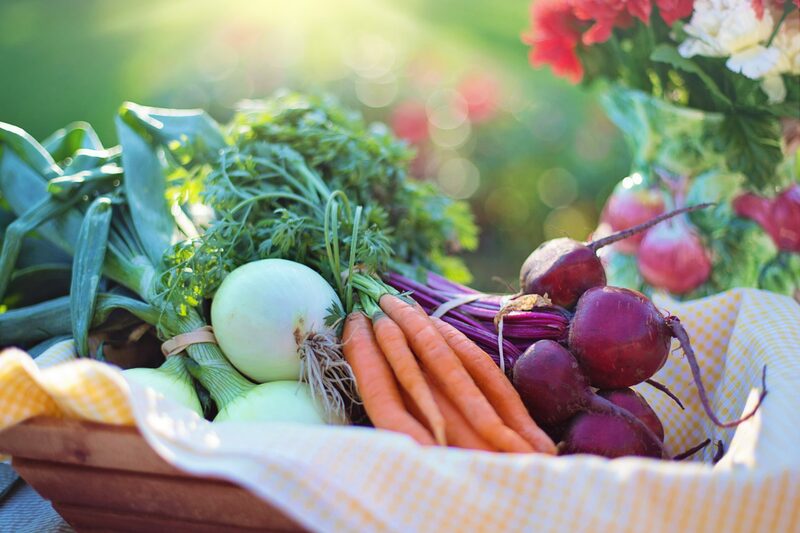 California's produces a staggering variety of food and fiber, producing more than 400 different farm products. Our state produces 14 crops not grown anywhere else in the nation. Learn more about California's diverse bounty. California produces safe, affordable farm products using less water than is used in many other countries. 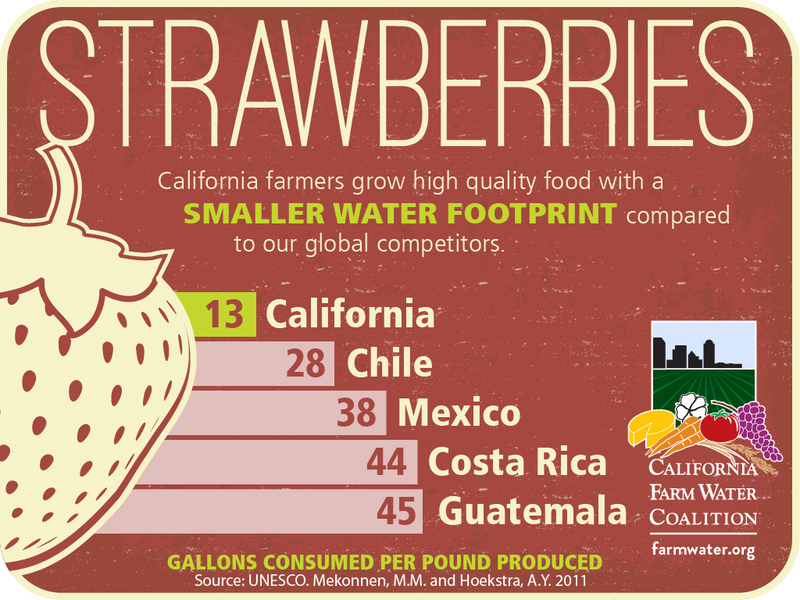 #cagrown strawberries use less water than our major trading partners. 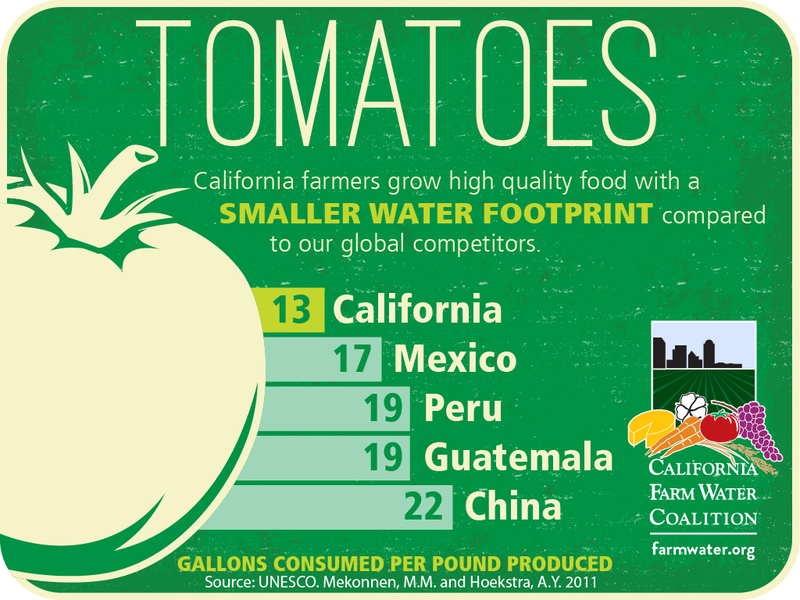 #cagrown tomatoes use less water than our major trading partners. 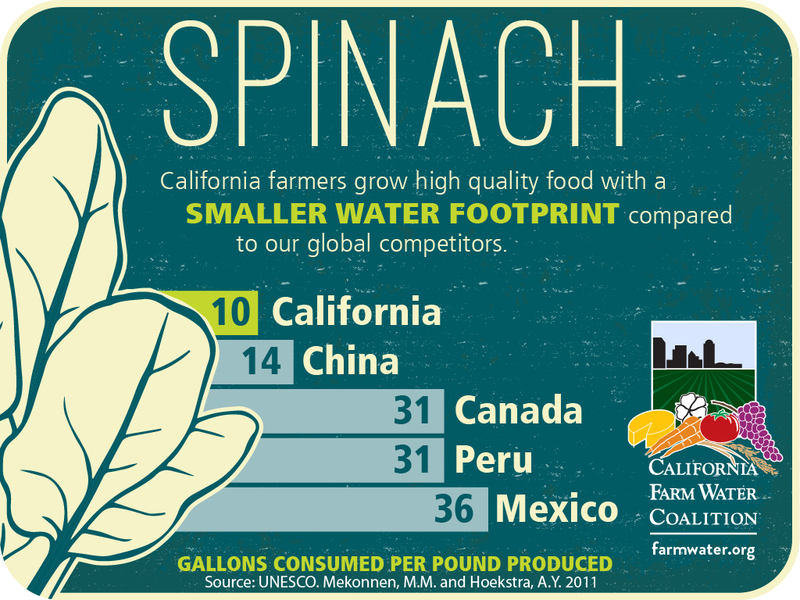 #cagrown spinach uses less water than our major trading partners. 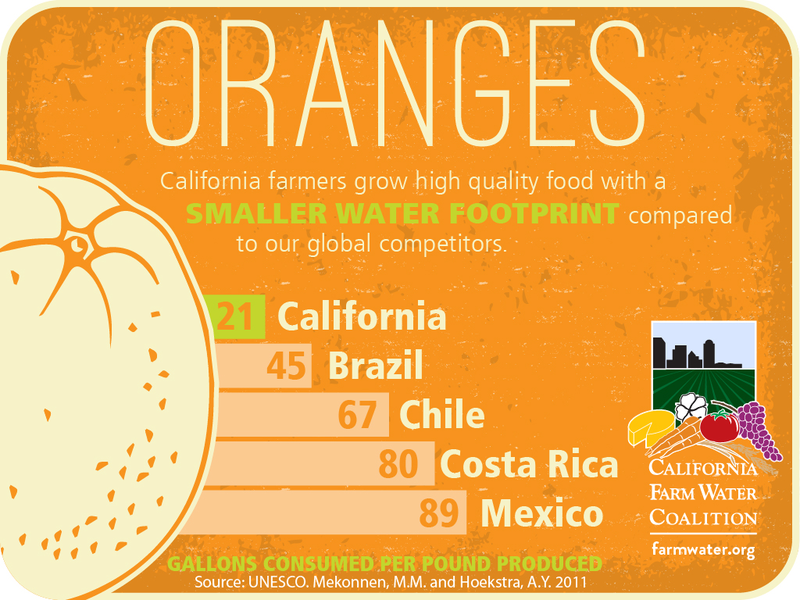 #cagrown oranges use less water than our major trading partners. 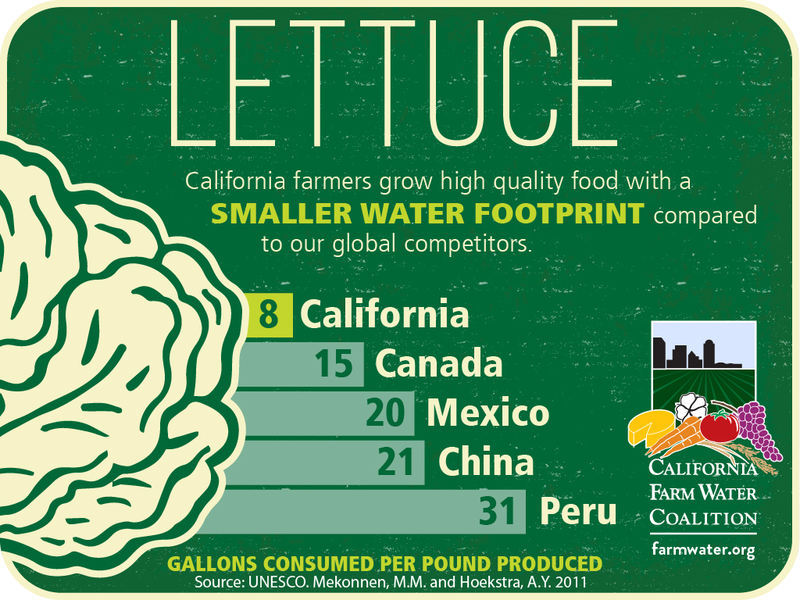 #cagrown lettuce uses less water than our major trading partners. 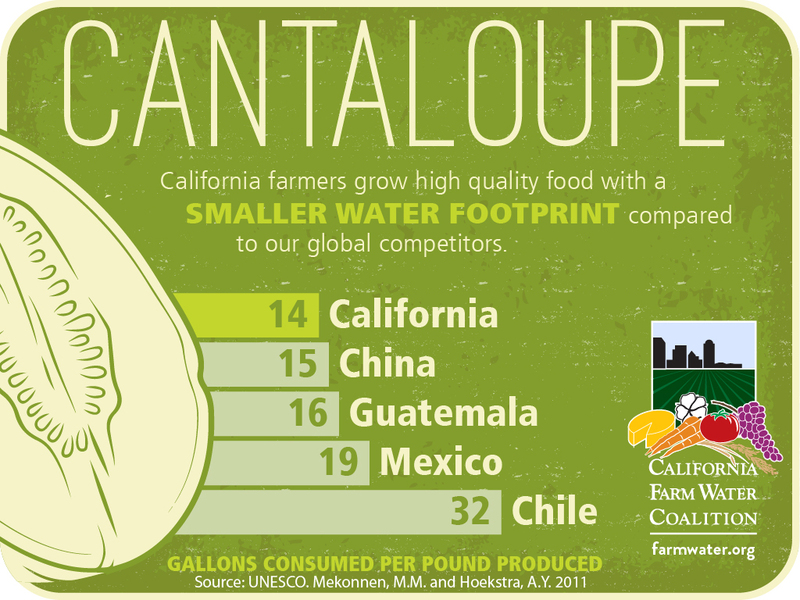 #cagrown cantaloupes use less water than our major trading partners. 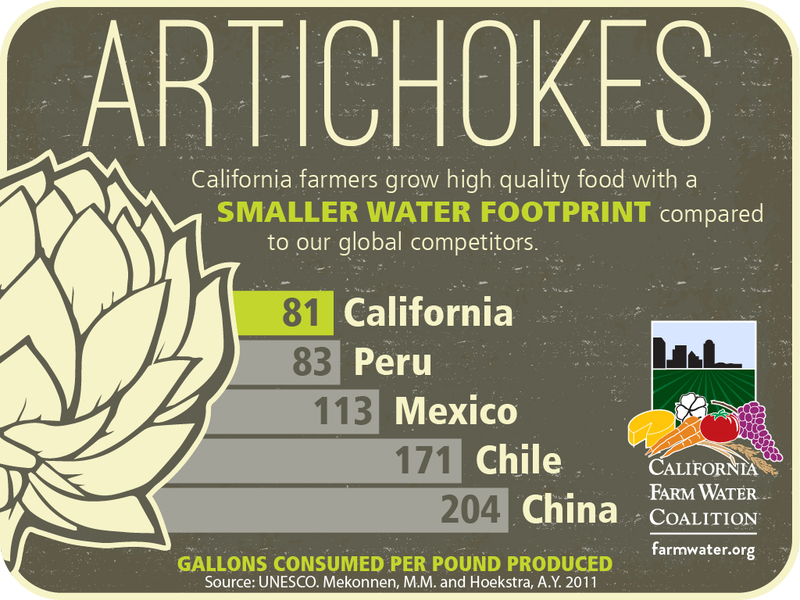 #cagrown artichokes use less water than our major trading partners. 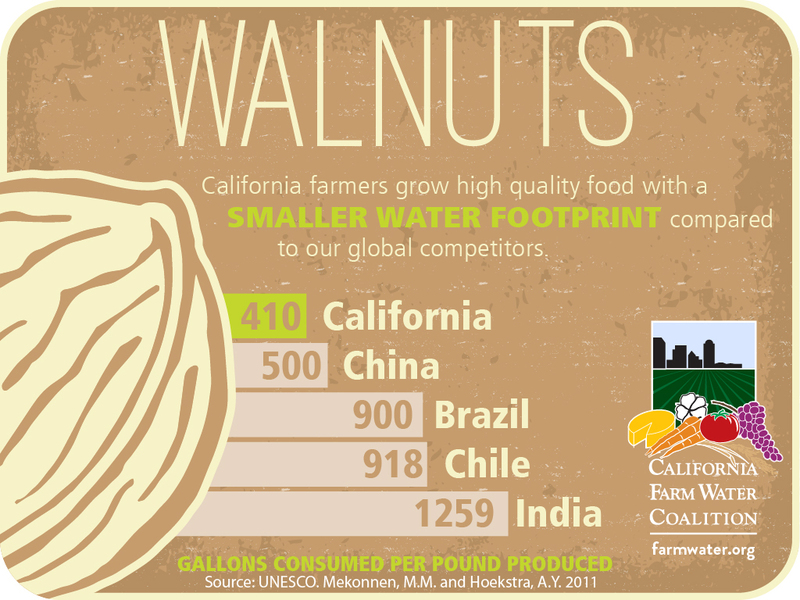 #cagrown walnuts use less water than our major trading partners. 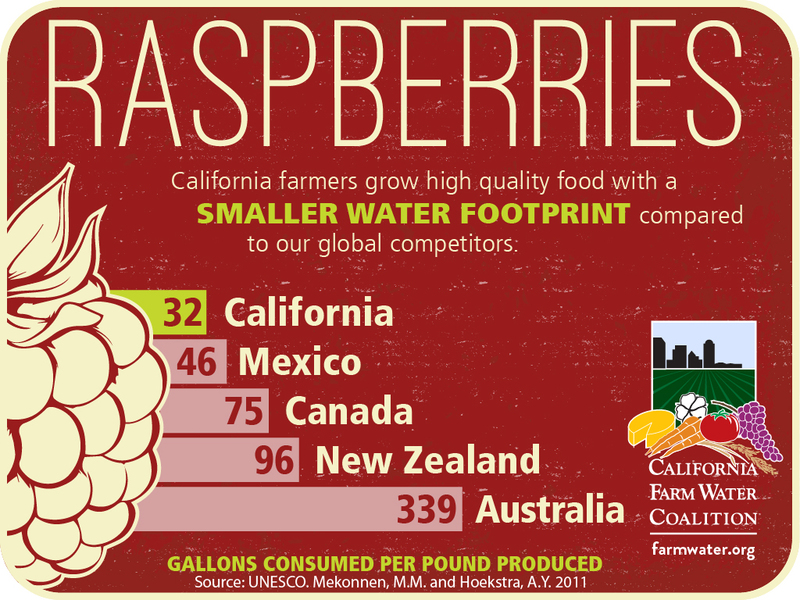 #cagrown raspberries use less water than our major trading partners. 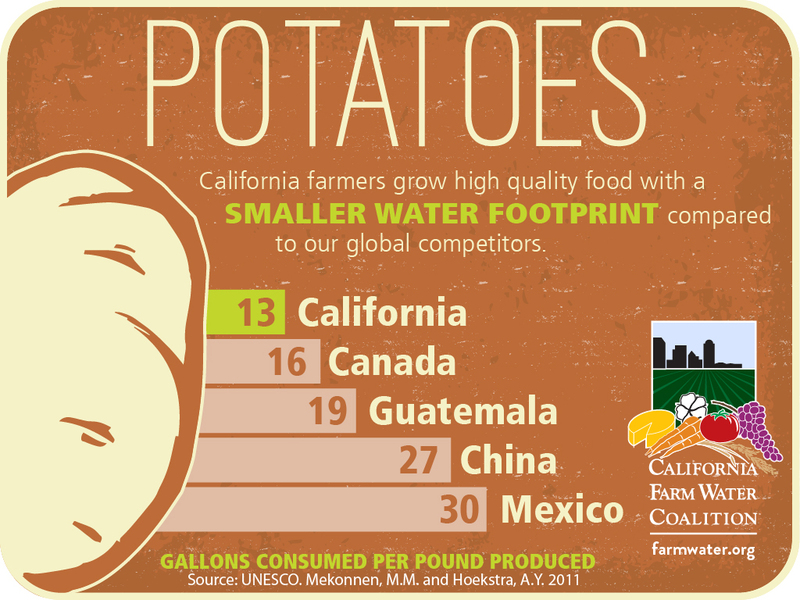 #cagrown potatoes use less water than our major trading partners. 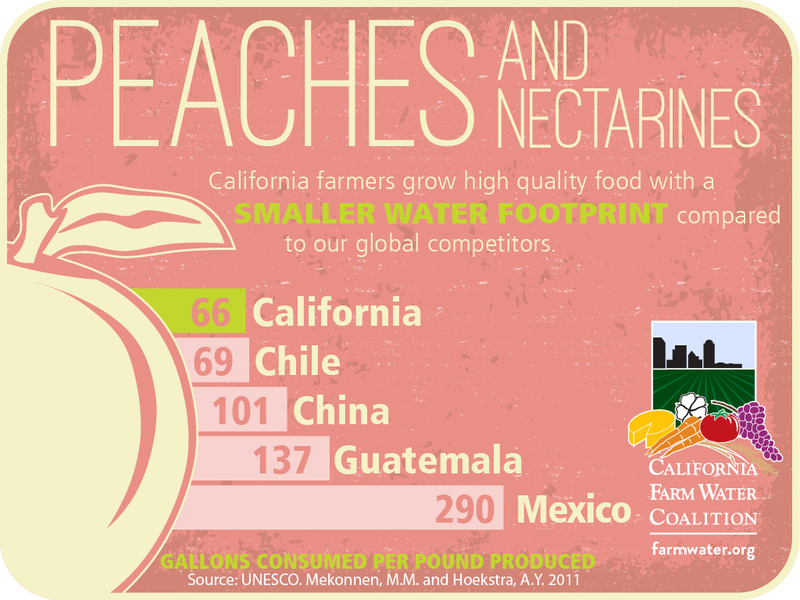 #cagrown peaches and nectarines use less water than our major trading partners. 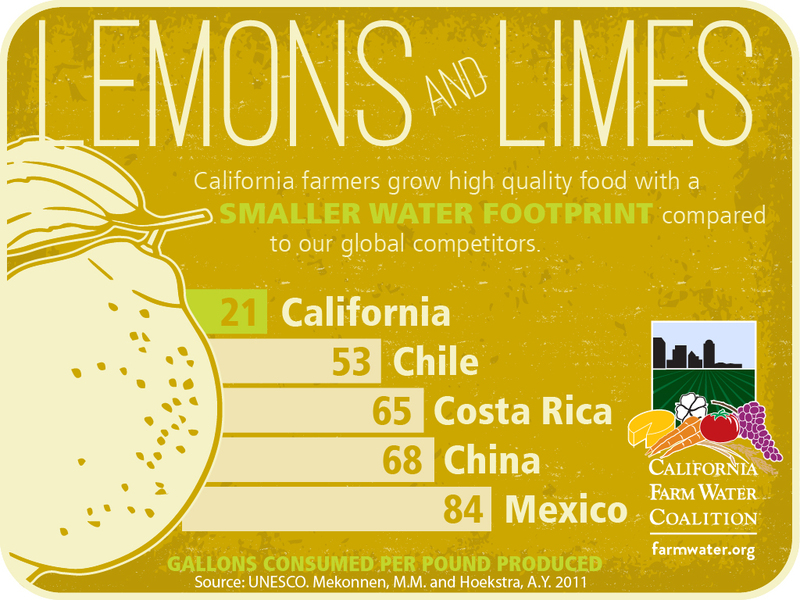 #cagrown lemons and limes use less water than our major trading partners. 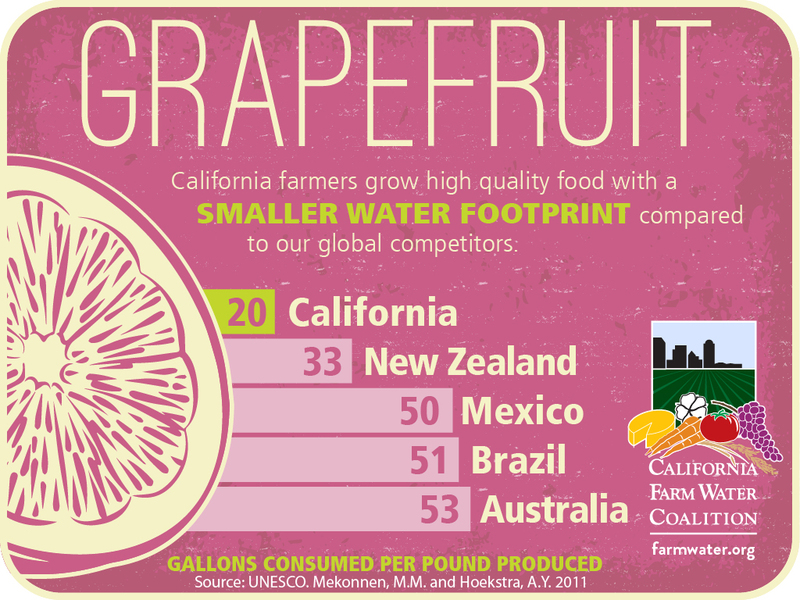 #cagrown grapefruit use less water than our major trading partners. 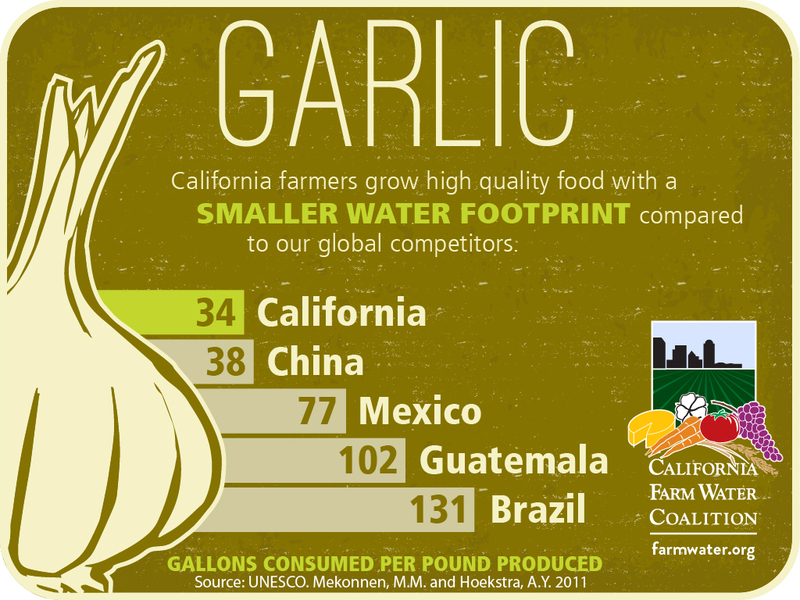 #cagrown garlic uses less water than our major trading partners. 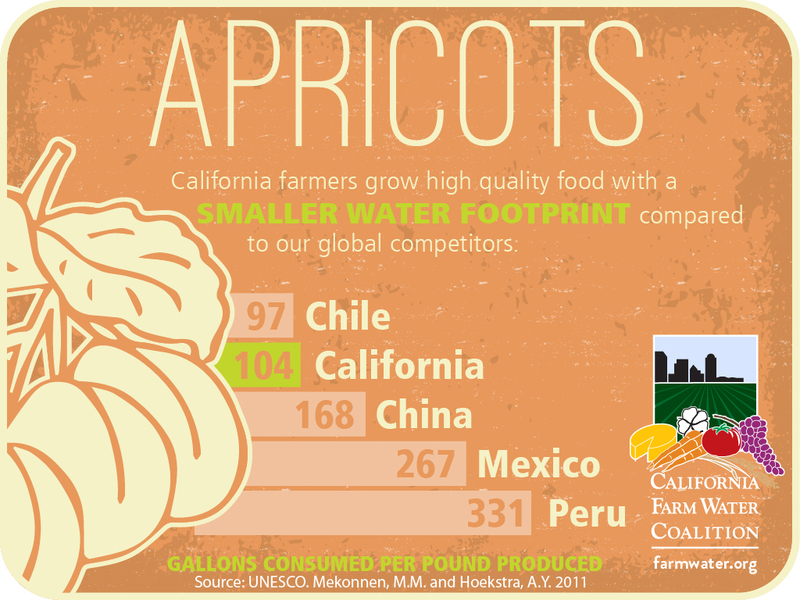 #cagrown apricots use less water than our major trading partners.